Home Vynl New Star Wars: A New Hope Vynl. Sets Coming Soon! New Star Wars: A New Hope Vynl. Sets Coming Soon! 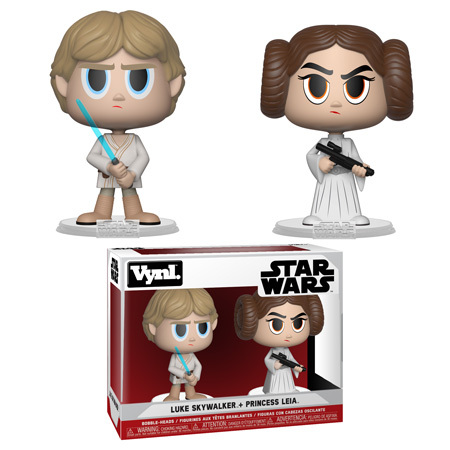 Funko has released official previews of the new Star Wars: A New Hope Vynl. Sets. 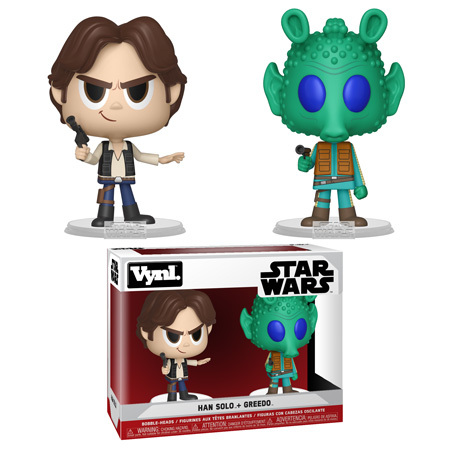 One set includes Han Solo and Greedo while the 2nd set includes Luke Skywalker and Princess Leia. Look for both of these sets very soon and of course they can be ordered now on EntertainmentEarth.com. Previous articleNew FYE Exclusive Carnage Pop! Vinyl Released Online! Next articleNew Funko Shop Exclusive Hanna-Barbara Dorbz Bundle Now Available!